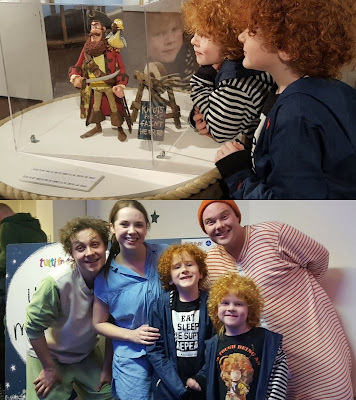 The puppets have been created by Nick Barnes and Finn Caldwell (War Horse, The Lorax) and are brilliant. 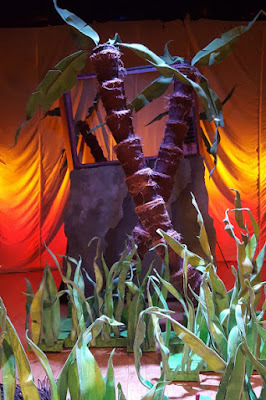 The trees positioned on set and the grasses obscured the puppeteers, but they didn't try and pretend they weren't there. Everything flowed really well and naturally. Here are a couple of the official photos, as obviously I couldn't photograph during the show. Credit The Other Richard. At times size was used really well to portray distance and probably let the actor in the Hippo suit have a well-earned break. It's a pretty active play and they didn't show any signs of tiring, but it must get very hot in that suit. 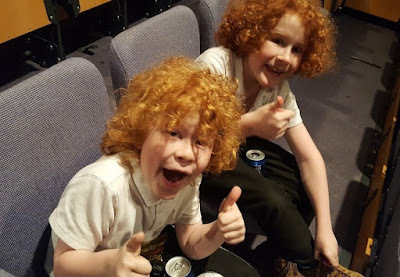 My partner really loved it and the boys thought it was great (my youngest was in a 'pull daft faces' mood *sigh*). 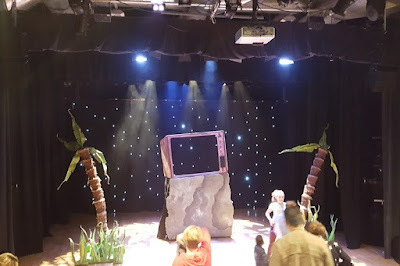 The book and play are accessible to children of 3+ and the play probably has more to offer the older audience members, who may feel they've grown out of the simplicity of the book. The seating at Waterside is really comfy and arranged in quite steep, but wide rows. It feels safe for children and everyone can see over the head in front! Starting the play at 5pm worked really well for us. We were home by 7pm for a late tea and bedtime on time - a luxury you don't get with evening performances. Everything we've seen at Waterside Arts has been incredibly professional, at a price that's affordable for families. 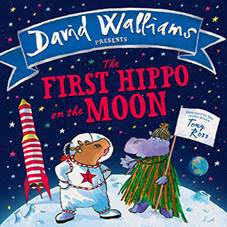 Tickets to The First Hippo On The Moon cost £9-£11. Waterside Arts have a full programme of theatre, film, exhibitions, comedy and other events, including shows for children of all ages. You can find out more on the Waterside Arts Centre Website. 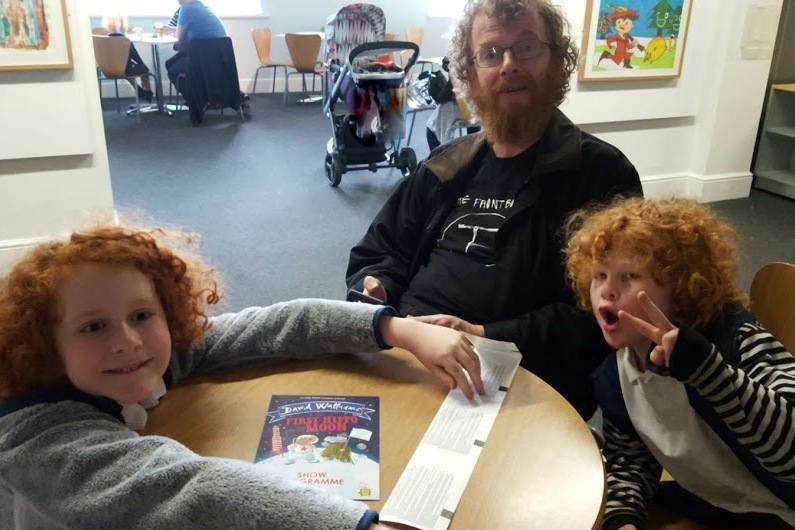 We've previously written twice about Waterside Arts - The Aardman Animation Exhibit and the Christmas play 2106 - Underneath A Magical Moon. Our entry was free for review. Oh wow this looks amazing. My son loves a wee theatre productions so this would be perfect. Wondering if they've be at the Edinburgh Festival this year? Oooh I don't know! You are lucky having that close by - I've always wanted to visit and never yet managed it!